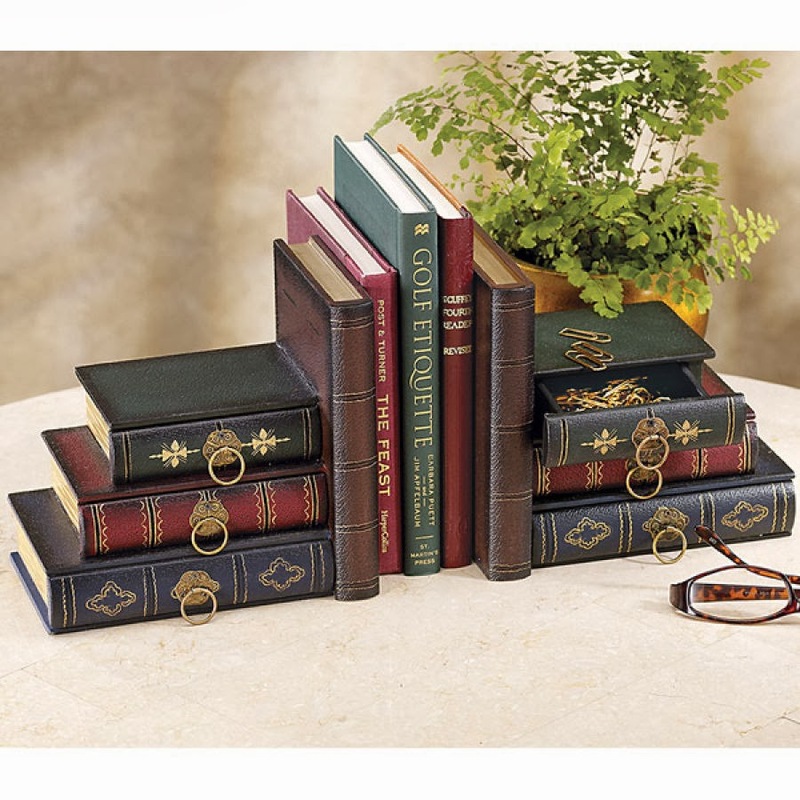 The Relentless Reader: Bookish Gifts for the Book Lovers on Your List...like ME! 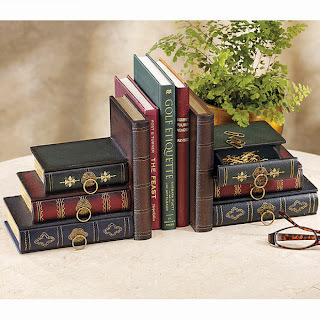 Bookish Gifts for the Book Lovers on Your List...like ME! Hello there adorable throw pillow! I would wear these so hard. One of my favorite books made into my favorite accessory? Yes, please. I'd proudly wrap my phone in one of these! My books are so bookish they need bookish bookends. All of these lovely literary gifts should be topped with one of these handmade book bows. Definitely. I love this so damn much. I NEEEEED a Dickens pillow! I'm seriously salivating over the pillow too. SO CUTE! That pillow is THE BEST. Those socks! I want them on my feet. Right now. And I'm loving the pillow! I just checked on the socks and they are out of stock right now! Noooo! 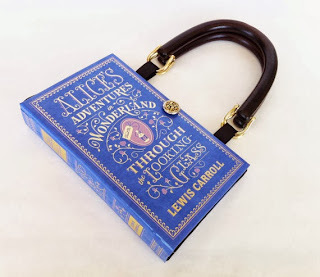 I'm coveting that Alice book purse SO HARD! It's such a gem. I WANT. Those socks!! The pillow is cute, but not being a Dickens fan, I'm less enamored. I adore that bow, too! 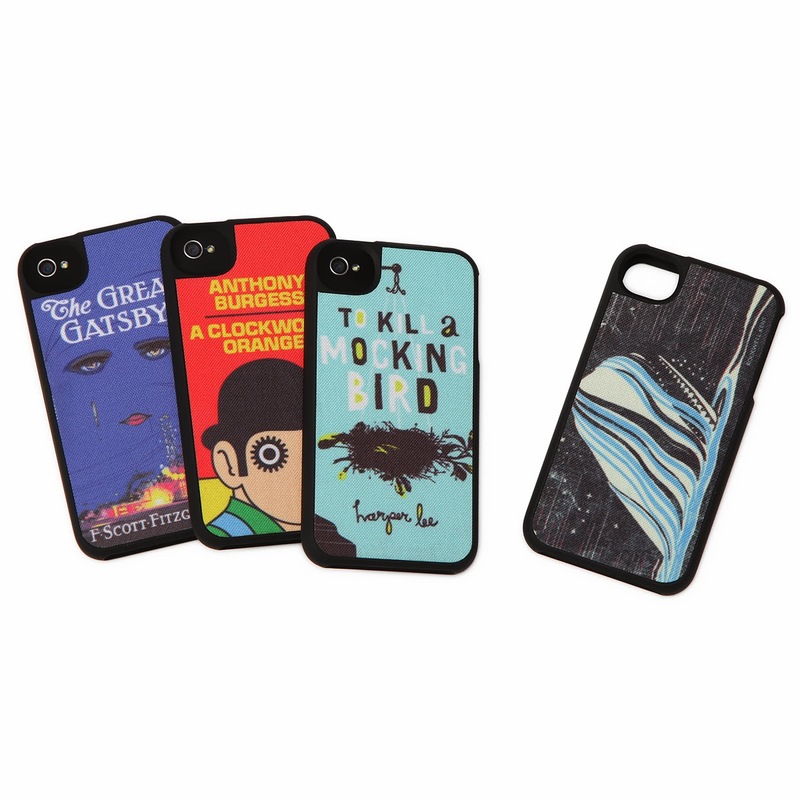 I NEED a literary iPhone cover!!!! Right?? It's almost stupid that we don't have one already! Hmph. Ditto :D I want all sorts of them in different colors! So cute! What the Dickens!!! I love it. Charles is one of my faves :) How can I NOT have that pillow?? awesome! 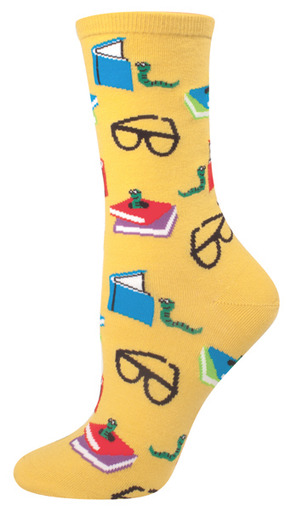 And those socks are calling my name! LOL, I hear you! They're calling mine as well! I have bookends like those in my classroom! With apples sitting on them to make them kinda teacherish too. I haven't seen those! I'll definitely have to go check 'em out! I will be snagging one of the iPhone cases...as soon as I upgrade my vintage iPhone, lol. 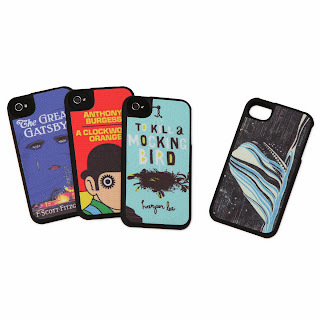 I have that Gatsby phone cover and I love it! Good for you!! Good luck!! I love the purse! What a cool list of original gifts...And with all the great books out there, it seems there are endless possibilities for "personalizing" these according to someone's literary taste! Exactly :D The options are nearly endless! ;) I'll be curious about what bookish goods you find under your tree this year! Those socks are amazing! And I want that cushion! 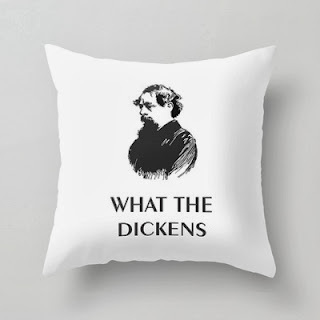 What the dickens pillow is simply amazing! Those socks!! And basically everything, but seriously, those socks are where it's at. I love the socks! I would totally wear those, even if they are yellow.